Soul Food | News | New LEDISI video ‘Bravo. Ledisi returns with an uplifting new video for her latest single, “Bravo,” premiering exclusively on ESSENCE.com. In the uptempo tune, Ledisi tells us how finding self-love has changed her life for the better. “I got a new walk, and a new point of view; a new purpose for everything I do,” she sings. 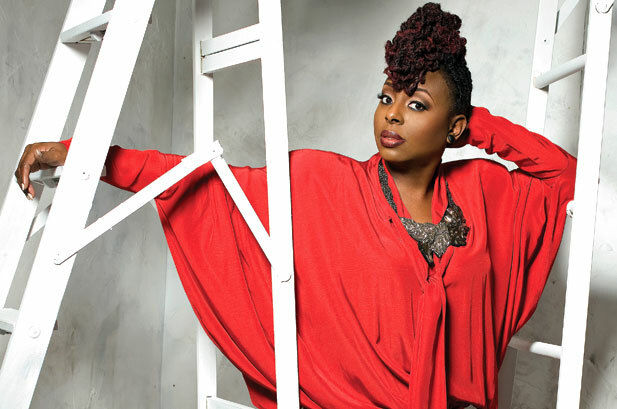 We suggest you turn up the volume and enjoy Ledisi’s new attitude. The Grammy winner is also getting ready to kick off her Be Good To Yourself summer tour and release her first book, Better Than Alright: Finding Peace, Love & Power (out June 5).